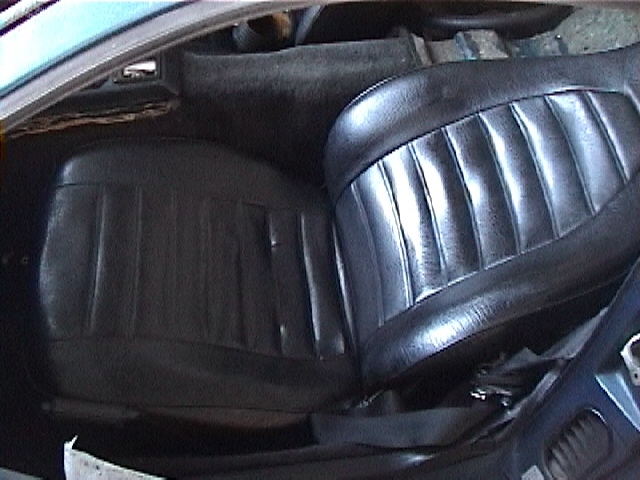 this is the drivers side bottom, the top of the pic it the rear of the seat. 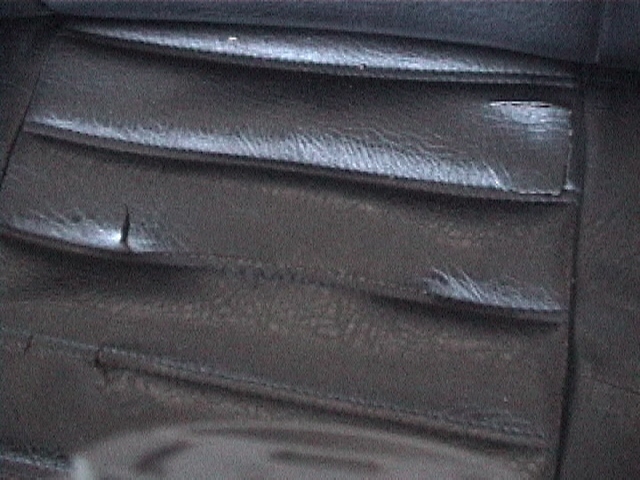 You'll notice the little panel that is splitting at the seam and the little tear on the left. 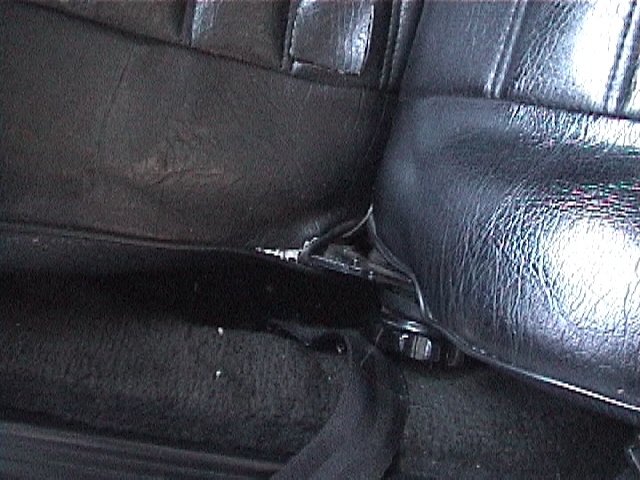 seam is stretching near seat back lean adjuster. Here in the middle to upper left, you can see the small what looks like a puncture. The passener side only has one minor tear which is the little white line in the picture. Again here any fair offer.